PYC bearing is a specialized manufacturer of loose steel ball bearings,chrome steel bearing,chrome steel ball bearings,loose steel ball bearings,6mm steel ball bearings. Our chrome ball bearings present a durable, cost-effective option for companies looking for superior hardness, quiet operation and a longer working life than 440 grade stainless steels. The most common chrome steel used in bearings, SAE 52100 is a high-carbon chrome alloy that offers exceptional performance at continuous temperatures to 248'F (120'C) and intermittent temperatures to 302'F (150'C). Due to a protective oil coating on exterior surfaces, SAE 52100 bearings are not suitable for applications that may be exposed to food products or those that demand a high degree of cleanliness. 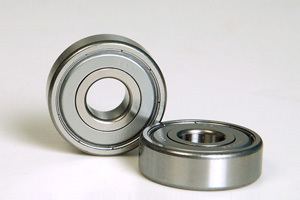 Due to a low chromium content, chrome steel bearings are less effective than stainless steel or ceramic hybrid bearings in resisting corrosion in chemical or moist environments.